September was an amazing month with some great gains. Our biggest overnight gainer was ANY - alerted for a nice +156% max profits from the $0.28 alert on the 25th and hit a high of $0.72. September saw a mere 6 losing picks and +317.25% maximum profit potential after stop-outs assuming every daily pick was bought and traded according to plan. While ANY was our biggest-ever overnight gainer at +156%, we also saw big runners with SUPV (17%) from the 5th and AMMA and XGTI from the 6th (25% and 15%). Other big calls included SSC and AFMD (24% and 9%) from the 10th, and GALT from the 17th (9%). 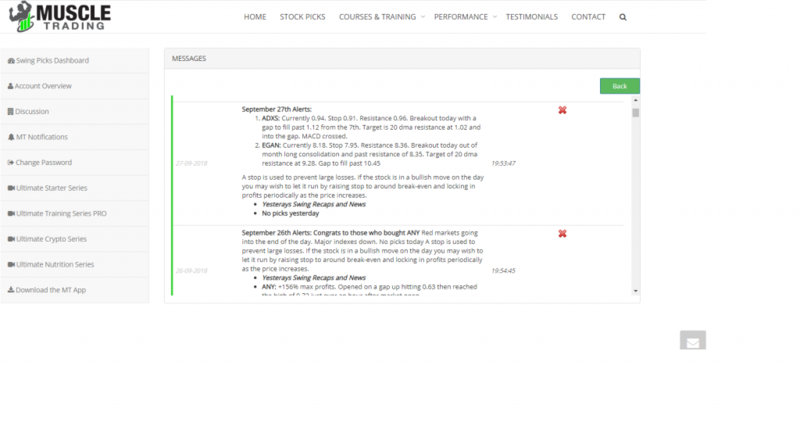 All trades are updated to our members dashboard daily in addition to being sent directly through email and text.